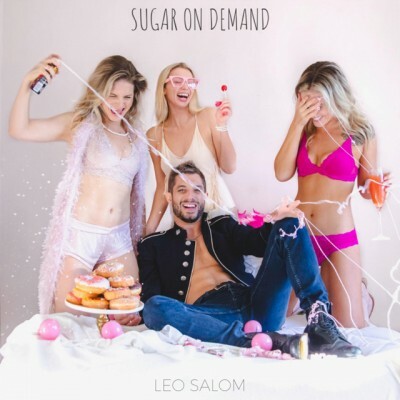 Sugar On Demand is a new album from Leo Salom, an Italian DJ and producer who’s currently based in Los Angeles. Salom is a fairly well known DJ and has a substantial following, resulting from his extensive experience performing the night club circuit and at prominent music festivals. Sugar on Demand is more interesting than the typical electronic music record, because it represents something new. Stylewise I haven’t heard anything quite like this (and I’ve listened to a lot of EDM over the years.) Some tracks have the feel of a kind of “tropical futurism,” combining fast paced irregular beats with summertime sparkling vibes. What’s innovative about these songs though is how versatile they are and the flavorful elements which are incorporated into the sound. Salom doesn’t fall back on the familiar synth samples you’ve heard in 1000s of sample packs and techno and dance party jams. It seems like anything this artist does touch turns into something better. I enjoyed this incarnation of Unshakable much more than the Trip 40, TWIIG or Sound Rush versions. It just comes through so crystal clear and melodic. In fact, the songs on this album manage to sound futuristic and musical without coming across as overly robotic or mechanical. The closest to that sort of retro cyberpunk style of futurist song would be Summertime Fling, but even that metamorphosizes into something shinier and more musical, catching the listener off guard and pleasantly surprised. The beats in these songs inventively make use of “strategic erraticism” while somehow fitting neatly within the structured framework of each track’s overall musical architecture. The tone of the album is generally very bright and upbeat, leaving you feeling like you’ve just won a game of Candyland. That’s one thing which is amazing about electronic music. All other things being equal, you can take two mixes from different artists, and they will evoke completely different emotions in you, just on the basis of their artistic choices. The “feeling” is a reflection of a DJ’s personality, their essence. The sense one gets from Sugar on Demand is that Leo Salom has a deep dedication to love, positivity and a vibrant free spirit. The album certainly has the potential to inspire people, and may very well carve out some uncharted pathways for this genre.